Delivered ready to install, our Dress Up Kits make your investment profitable by giving you more products, while using the same printing plates. This product is completely opaque, lightweight and durable. Delivered in easy-to-carry box, bags with identification & instruction sheet. This product can even be used as a Base Wrap. A Dress Up Kit is ideal for window displays and doors. When it comes to window displays and doors, a Dress Up Kit allows you to maximize your impact at a low cost. The Dress Up Kit consists of our ready-to-use products because everything is in one box. Each kit is packed with a personalized Instruction sheet, three different sizes of rolls, a medium-size banner with two small banners, one with a horizontal visual and the second one with a vertical visual. The product is a perfect fit for cold display windows. All Dress Up Kits are personalized for your event, lightweight (for lower shipping cost) and each comes with an easy-to-use personalized instruction sheet. Standard with our transparent and without residue D-tape attachment solution. The boxes are robust, identified and quickly shipped. The banners are entirely customizable without any color limitation, printed on both sides and the material is entirely opaque (perfect for a window display). This product can even be used as a base wrap. 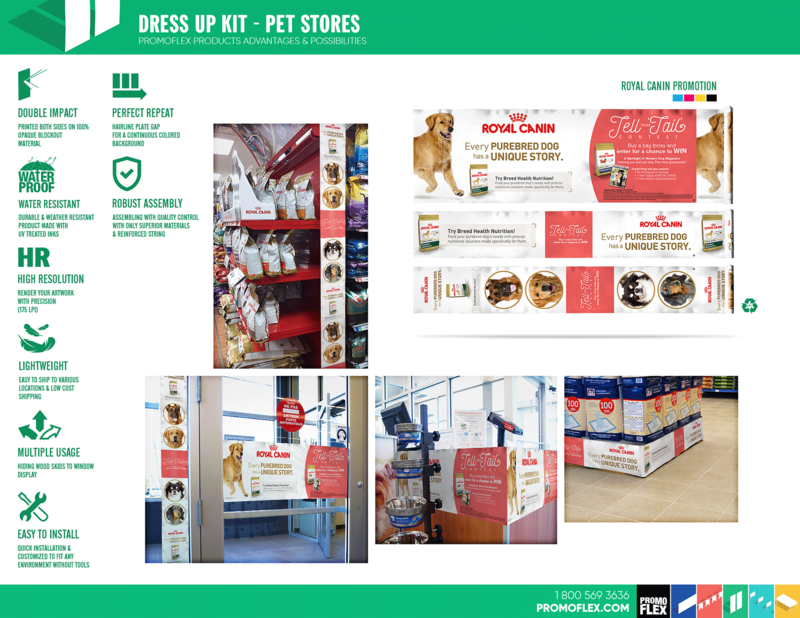 The main industries that use Dress Up Kits are: convenience stores, supermarkets, breweries and distribution companies. 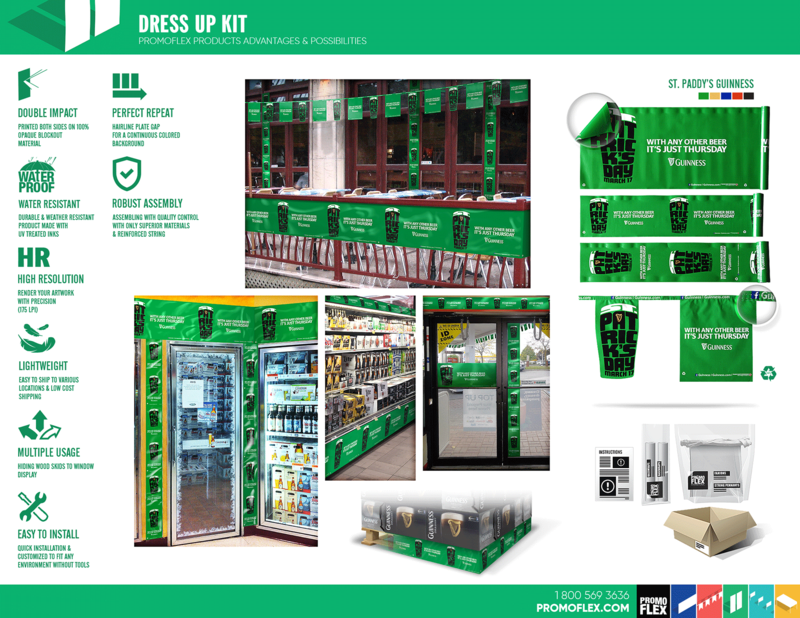 A Dress Up Kit is ideal for in store promotions, doors, windows, entrance pallets displays, in store sponsorship or specific events and terraces.